Navigating a Kansas divorce is a lot less overwhelming when you familiarize yourself with the law. Knowing the rules and regulations beforehand can give you peace of mind when it comes to attending hearings and interpreting court rulings. Keep in mind that in order to file for divorce in Kansas, you must have lived in the state for 60 days prior to filing. In the case of mental illness/incapacity, a neutral third party acts on the ill spouse's behalf. To start divorce proceedings, the petitioner can use Kansas state court's interactive forms.These forms can be filled out online, and you can save your answers (although to do this, you will have to create an account.) Because the forms are interactive, you will be guided through filling them out. Once the petitioner has filed the forms, he must serve them on the opposing party. The opposing party then has the opportunity to file a response. If you have minor children, you must address both custody and child support during the divorce process. Couples who have children usually find it much easier to agree on a parenting plan before going to the court. The parenting plan should include things like how the parents plan to divide parenting responsibilities, where the children should live and how children will spend holidays, as well as how major decisions for the child(ren) will be made. The court also has authority to override the parents' plan it if it feels the child's interests are not being served. In Kansas, both parents have an obligation to support their children financially. Kansas uses its own state guidelines to calculate support. Child support orders are not set in stone. Either parent can request a modification at any time. Under Kansas law, a parent can request a support review every three years without stating a specific reason. If a parent wishes the court to review the support obligation before the three-year time limit has expired, he or she must show the court that there has been a "material change in circumstances", such as the loss of employment or a serious illness. Before you file for divorce, consider speaking with a family law attorney about your case. Although some people manage to get through a divorce without an attorney, you might need an expert's help. 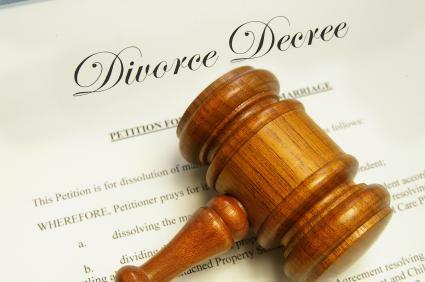 Divorce usually involves complicated financial and emotional issues. As an objective observer, your lawyer can also help you separate your emotion from money matters.